Loreal Hair Chalk 1.69 oz (50 ml). Loreal introduces a fantastic range of hair chalks in a whopping 8 vibrant shades. L'oreal Hair Chalk is a temporary hair color that allows you to chance and spicy up your hair depending on your mood! Color will last for up to 10 washes and is stain resistant. The highly pigmented liquid gives a natural look and dries quickly once applied. Please select color from the drop-down menu. L'oreal Hair Chalk is one of the hottest hair trends of the year! Revolutionary water based ink + micro-fiber polymers create an ultra-thin film that adheres to the hair fiber. It's not a traditional hair colorant, it's not a direct dye: It's a new form of makeup for hair. - Provides brilliant color intensity (even on dark hair). - Won't stain clothing or pillows. - No chalky texture - hair feels natural. - Washes out with shampoo. Lasts 2-10 shampoos depending on hair type and condition. Fades gradually and smoothly. L’Oréal Professionnel Hairchalk comes in five bold, show-stopping shades and three more subtle, sophisticated tones. 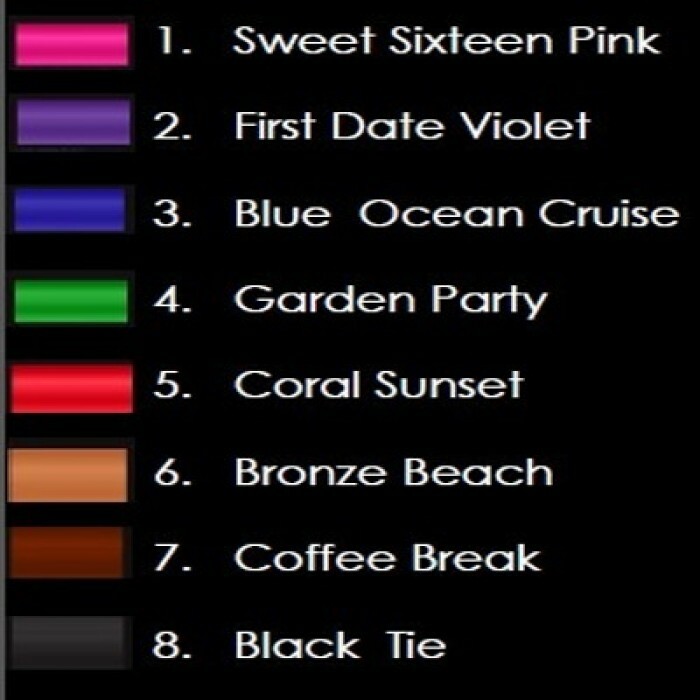 Choose between: Sweet Sixteen Pink, First Date Violet, Blue Ocean Cruise, Garden Party, Coral Sunset, Bronze Beach, Coffee Break, and Black Tie. Because the new L'oreal Hair chalk is liquid, you can mix them to create your own shades, too. The hair chalk range is inspired by the way we accessorize with make-up and nails, allowing us to change hair shades as often as we do our shoes! Bold on both blondes and brunettes, the eight shades will work and look great. So get ready to brighten up the boardroom, wow on a night out or accessorize a pretty braid on a Sunday afternoon. The L'Oreal Hairchalk and Applicator gives hair a temporary yet fantastic hair transformation. The paint on color applies easily with the built in applicator. 1. Use the applicator to apply the chalk to the desired sections of hair. Here is the blog about "L'ORÉAL MADE THE BEST HAIR CHALK EVER".